The primary objective of any unit on pond habitat is for students to develop an understanding and awareness of the delicate ecosystem of the pond. By the end of the unit, all students should be able to identify plant and animal life, discuss life cycles and understand environmental concerns connected to ponds. When teaching a unit on pond habitat, a good educational movie on the subject is a highly effective means of introducing this unique habitat to students. If there are no local ponds to visit, this also gives students a visual perspective and understanding of ponds. Movies can be obtained through the school or town library, or, if this is something the teacher wishes to have as a long-term resource, there are various places to purchase an educational film on pond habitats. For instance, the Missouri Botanical Gardens (MBG) has the film, The Secret of the Pond available to teachers at a discounted price. The film is created for PreK-3rd grade students. For grades 4-8, the MBG has a film, Exploring Ponds and Lakes. For high school students, the videos, Fresh Water Ponds is available through the National Parks Service. All of the videos mentioned above are short introductions. Prior to viewing the movie, introduce vocabulary to the students. For the younger students, this can be done with an interactive teaching wall on Pond Habitats. Words such as pond, grass, frog, and lily pad can be written on cardboard, which the students then match with pictures on the teaching wall. Older students can begin by brainstorming words they already know. After they have brainstormed, a handout with vocabulary words can be given out and reviewed. Students will create a PowerPoint presentation to demonstrate what they have learned about pond habitats. Students can be assigned a specific element of pond habitats to report on or can give an overview of what they have learned. Objective: Students will describe the plants and/or creatures of the pond through creative writing, which allows them to recall and express their experience either from the field trip or from the video. Task: Students will create a short essay or a poem (haiku is an excellent choice for any form of science) about an element of the pond habitat. Young students can do name (acrostic) poems with vocabulary words such as, dragonfly or lily pad. Final Project: At the end of the unit, the students’ work can be made into a publication on pond habitat that is kept in the classroom library. 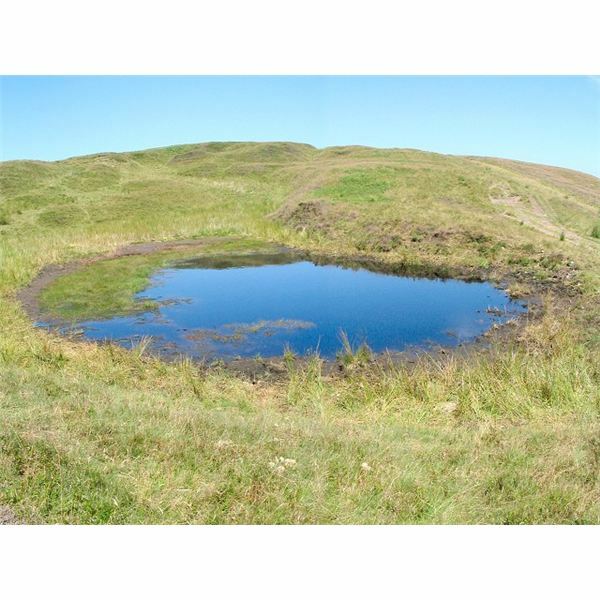 There are several excellent online resources, especially for elementary/middle school students, that can be accessed which give students various opportunities to learn about pond habitats. For example, Young People’s Trust for the Environment has graphics, downloadable worksheets, projects and lots more, or, go to 42 Explore.com for a host of resources for teachers to use in teaching a pond habitat unit.